Surely we have received notifications to our phone at the most inconvenient time, for example, when we are in class, at work or while we sleep. Although we can always lower the volume of our phone to avoid that these notices annoy us, if we forget to do so, in case of receiving any notification (WhatsApp, call, etc), our phone is likely to ring in moments More inappropriate. To prevent this from happening, Android has a mode called "do not disturb" that allows us to precisely program a "silent" mode with exceptions that is automatically activated when the time comes. "Do Not Disturb" mode has been on Android since the launch of Android 5.0 Lollipop. As new versions of the operating system have been released, Google has been improving and perfecting this new mode of configuration so that, today, is a configuration essential for most users. Now, with the new Android 8.0 Oreo, Google has continued to improve and refine this configuration mode. Thanks to this "Do Not Disturb" mode we will be able to configure a series of hours, on certain days of the week, in which our phone will automatically become silent (even completely hide the screen notifications to avoid distractions) avoiding that any notification can make noise in our mobile or annoy us while, for example, we play. In addition, we will also be able to configure a series of exceptions or priority notifications that will sound even with Do Not Disturb mode enabled (for example, calls and messages from a particular contact). 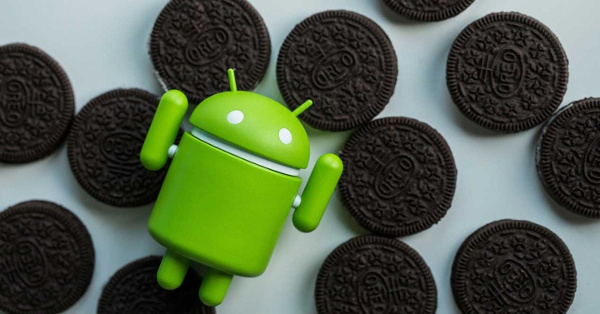 Here's how we can configure the "Do Not Disturb" mode of Android 8.0 Oreo to take full advantage of this automatic mode. How can I improve the Android Do Not Disturb mode? As we have just seen, Android Do Not Disturb mode has a number of very simple configuration options, useful for most users. Unfortunately, sometimes, they can be too useful. Being able to program this mode based on a day and an hour is very useful, but, for example, it will not be bad for Google to allow us to configure the mode, similar to how some specific applications do, depending on other circumstances, For example, the GPS position we are in or the Wi-Fi we are connected to. In addition, Android should implement a function that allows us to configure the volume of the tone, including other system options, according to, as we said, our GPS position or the Wi-Fi network to which we are connected, and may have an interior volume, Another for when we are away from home, at work, etc. How do you like Android Do Not Disturb mode? Do you usually use it?